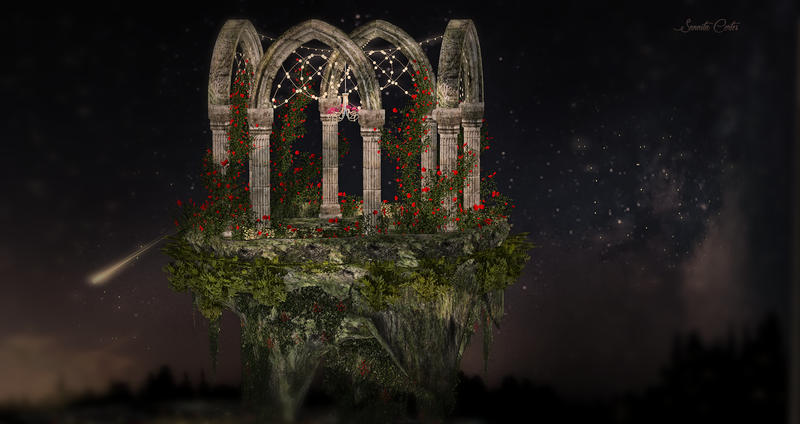 The Looking Glass by Sharni Azalee created this beautiful, amazing floating island – exclusive for Swank Event, February Round “50 Shades of Red”. 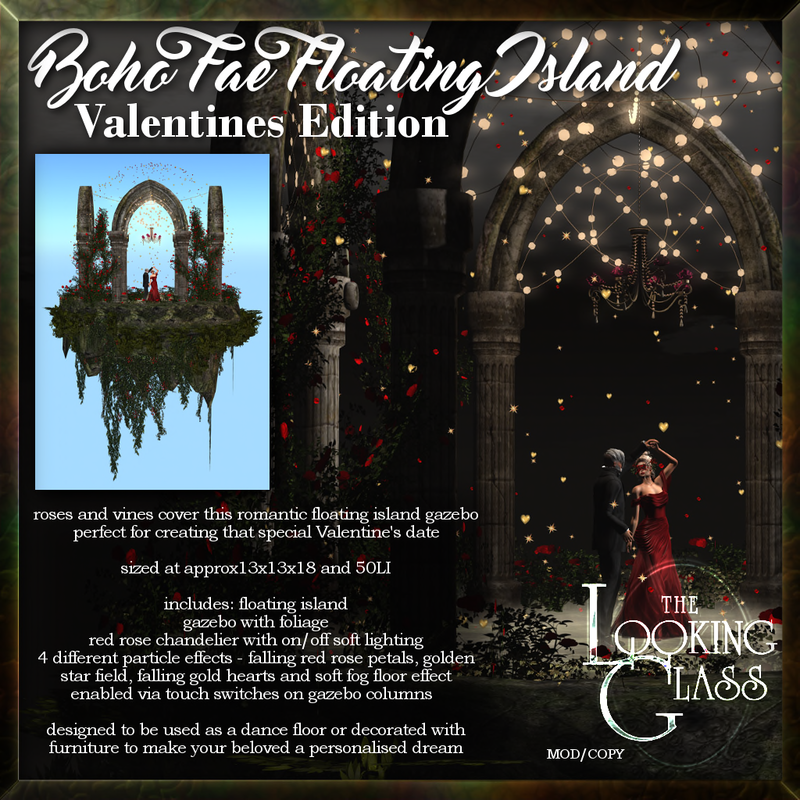 This island called Boho Fae Floating Island is really perfect to make you a dream romantic night on Valentine’s Day. 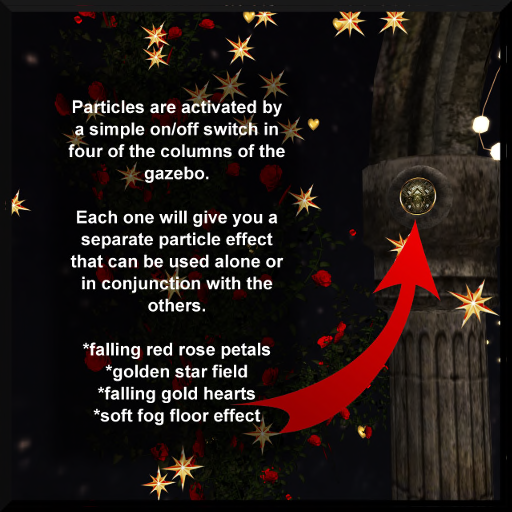 You can use it as dance floor or also decorated with furniture it will be a nice addition not only on Valentine’s Day. 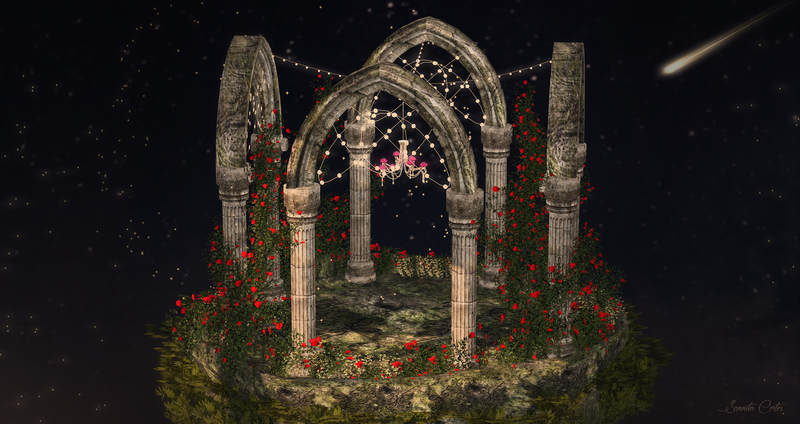 The romantic island is covered by roses and vines. and has 50 LI !